← DMC Widebody Kit News! The TT-R marked Audi’s return to DTM racing in 2004, first entered as privateer car by Abt and later as a full works effort to take the fight to Mercedes & Opel. The car even had a successful life beyond the DTM as the TT-R was also used for Audi’s works effort at the Nürburgring 24h race in 2003 & 2004. Note: The TT-R does not share mechanical parts with the road TTs. It runs a close to 500 bhp V8 engine, RWD. See “specs” below. Enjoy the pics & video! 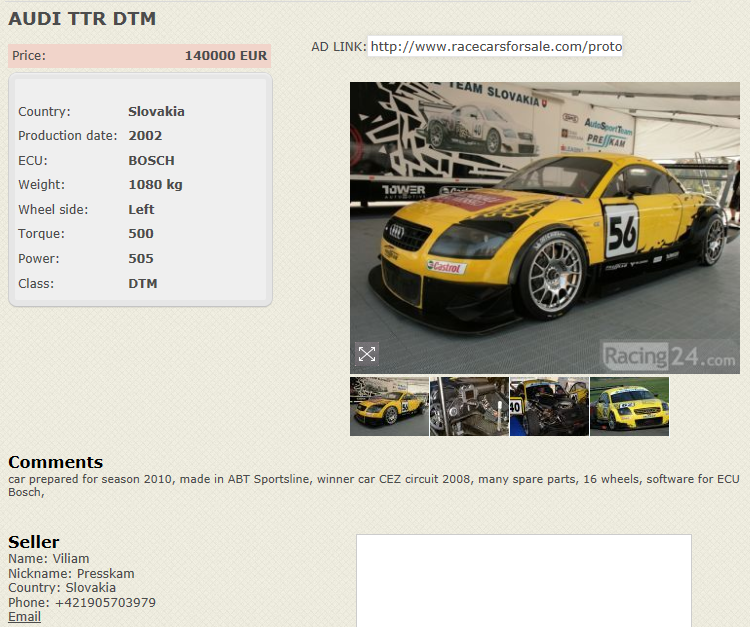 This entry was posted in Audi TT MK1, My Auti TT Race Track Pictures. Bookmark the permalink.